Ich Peitsche meine Haare hin und her! 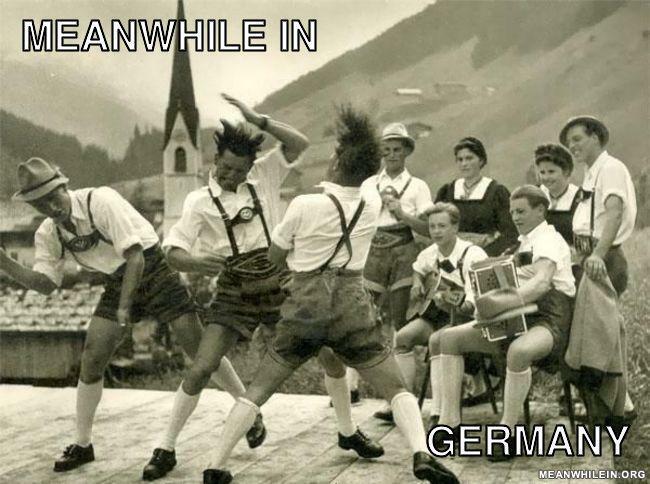 Rammstein uses an accordion ?!?! Nobody told me Lady Gage came out with a new video. Men in Lederhosen haben more fun! Ich Peitsche meine Haare hin und her. That's Austria (Tirol), because of the Lederhosen and Socks ;-) Bavarians have other Socks ! And the Eagle on the Pantholder !